In 1888, Las Cruces College was founded. 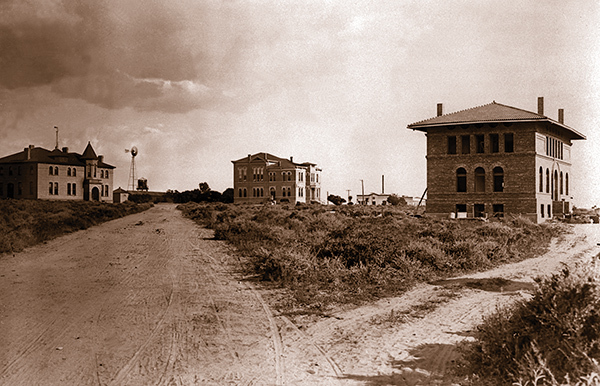 A year later the Rodney Act of 1889 created an agricultural college in Southern New Mexico, and Las Cruces College became known as New Mexico Agricultural College. The university experienced two additional name changes until officially becoming New Mexico State University in 1960. 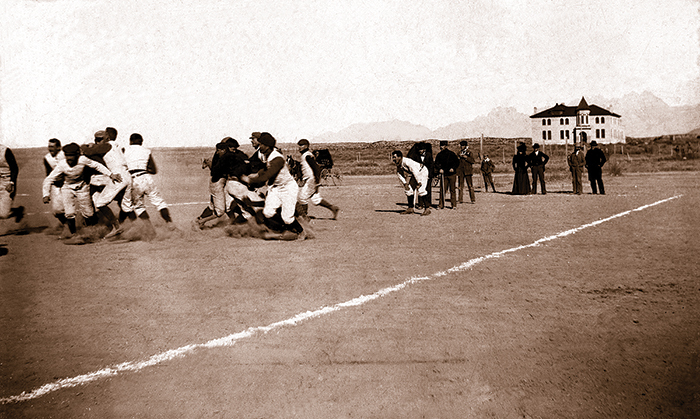 The Aggie football team was created during the 1893-1894 school year. The squad featured many of the college’s first graduates, including famed agriculturalist Fabian Garcia. 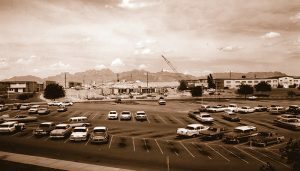 In 1958, NMSU at Alamogordo began operation where its first classes were held at Alamogordo High School. Now, the campus has grown to support 1,700 students and nearly 200 faculty and staff members. Corbett Center Student Union opened in fall of 1968. The 109,000 square-foot building cost $3 million and replaced Milton Student Center. Corbett Center is the hub of student life on campus that gives students areas to dine, study and relax with friends. The building has since undergone renovations in 1996 and 2014. The home of the NMSU football team, Aggie Memorial Stadium, was officially dedicated in September 1978. The Aggies celebrated the opening with a 35-32 win over University of Texas-El Paso.